One of the altars, with the characters corresponding with NHM enhanced. Interpreter recently published a paper by Stephen Smoot and myself on the evidence for Nahom in the Book of Mormon. Specifcally, we respond to some of the counter-arguments made by critics to try and minimize the significance of the evidence. A lot of the criticisms are based on inaccurate information, and so part of the point of our response was to clear up the confusion. Still, greater understanding on the topic can be best gained by reading some of the additional literature Latter-day Saints have produced on the topic. Thus, as supplement to the article, I have complied this bibliography, starting from when it was first pointed out that an actual place with consonants NHM was noticed by Ross Christensen. I’ve arranged the bibliography in (more or less) chronological order. Some of these provide detailed discussion, some of them are only brief notes that repeat the information given by others. All page numbers given represent the pages that the Nahom information can be found on. As this bibliography demonstrates, the evidence for Nahom has been discussed pretty much constantly since the early 1990s. Since 1991, there are has hardly been a year that went by that the evidence was not discussed in some scholarly venue. Christensen, Ross T. “The Place Called Nahom.” Ensign (August 1978): 73. Aston, Warren P. and Michaela J. Aston. “The Place Which Was Called Nahom: TheValidation of an Ancient Reference to Southern Arabia.” FARMS paper, 1991. Goff, Alan. “Mourning, Consolation, and Repentance at Nahom.” In Rediscovering the Book of Mormon, 92–99. Edited by John L. Sorenson and Melvin J. Thorne. Provo, Utah: FARMS, 1991. Roper, Matthew. Review of Mormonism: Shadow or Reality? By Jerald and Sandra Tanner. Review of Books on the Book of Mormon 4/1 (1992): 215 n.169. Aston, Warren P. and Michaela Knoth Aston. In the Footsteps of Lehi: New Evidence of Lehi’s Journey across Arabia to Bountiful, 3–25. Salt Lake City, Utah: Deseret Book, 1994. Norwood, L. Ara. “Bountiful Found.” Review of Books on the Book of Mormon 7/1 (1995): 86–88. Aston, Warren P. “Some Notes on the Tribal Origins of NHM.” Paper presented at the Seminar for Arabian Studies, July 22, 1995, held at Cambridge University. Hilton, Lynn M. and Hope A. Hilton. Discovering Lehi, 126–127. Springville, Utah: Cedar Fort, 1996. Roper, Matthew. “Unanswered Mormon Scholars.” FARMS Review of Books 9/1 (1997): 116–119. Reynolds, Noel B. “Lehi’s Arabian Journey Updated,” 380–382. in Book of Mormon Authorship Revisited: The Evidence for Ancient Origins, edited by Noel B. Reynolds. Provo, Utah: FARMS, 1997. Brown, S. Kent. “‘The Place that Was Called Nahom’: New Light from Ancient Yemen.” Journal of Book of Mormon Studies 8/1 (1999): 66–68. “Book of Mormon Linked to Site in Yemen.” Ensign (February 2001): 79. Brown, S. Kent. “On Nahom/NHM,” The Nephi Project, February 23, 2001, http://www.nephiproject.com/on__nahom.htm (accessed January 25, 2014). 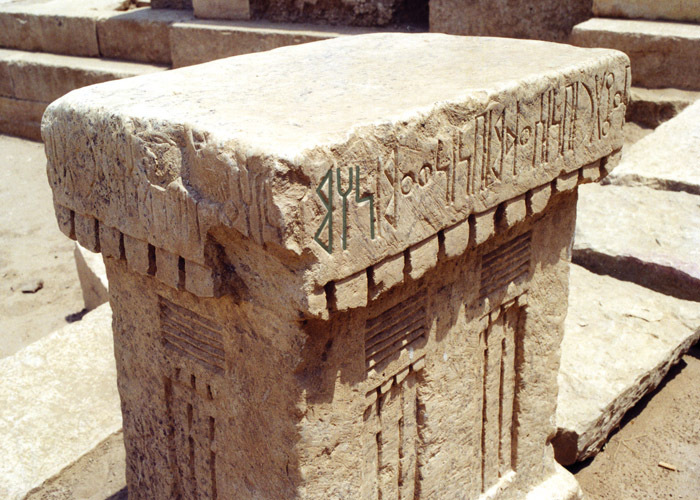 Aston, Warren P. “Newly Found Altars from Nahom.” Journal of Book of Mormon Studies 10/2 (2001): 56–61. Givens, Terryl. By the Hand of Mormon: The American Scripture that Launched a New World Religion, 120–121. New York, N. Y.: Oxford University Press, 2002. Brown, S. Kent. “New Light from Arabia on Lehi’s Trail.” In Echoes and Evidences of the Book of Mormon, edited by Donald W. Parry, Daniel C. Peterson, and John W. Welch, 81–83. Provo, Utah: Foundation for Ancient Research and Mormon Studies, 2002. Brown, S. Kent. “New Light: Nahom and the ‘Eastward’ Turn.” Journal of Book of Mormon Studies 12/ 1 (2003): 111–12. Barney, Kevin. “A More Responsible Critique.” FARMS Review 15/1 (2003): 131–32. Tvedtnes, John A. and Matthew Roper. “A Small Step.” FARMS Review 15/1 (2003): 189–194. Potter, George and Richard Wellington. Lehi in the Wilderness: 81 New, Documented Evidences That the Book of Mormon is a True History, 107–115. Springville, Utah: Cedar Fort, 2003. Judkins, Benjamin N. “Recent Trends in Book of Mormon Apologetics: A Critical Assessment of Methodological Diversity and Academic Viability.” FARMS Review 16/1 (2004): 80–82. Brown, S. Kent. Voices from the Dust: Book of Mormon Insights, 37–38. (American Fork, Utah: Covenant Communications, 2004). Bushman, Richard Lyman. Joseph Smith: Rough Stone Rolling, 93. New York, N. Y.: Alfred A. Knopf, 2005. Peterson, Daniel C. “Editor’s Introduction: Not So Easily Dismissed—Some Facts for Which Counterexplanations of the Book of Mormon Will Need to Account.” FARMS Review 17/2 (2005): xxvi. Brown, S. Kent and Peter Johnson, eds. Journey of Faith: From Jerusalem to the Promised Land, 105. Provo, Utah: Neal A. Maxwell Institute for Religious Scholarship, 2006. Aston, Warren P. “Across Arabia with Lehi and Sariah: ‘Truth Shall Spring out of the Earth’.” Journal of Book of Mormon Studies 15/2 (2006): 13–15. Potter, George and Richard Wellington. “Lehi’s Trail: From the Valley of Lemuel to Nephi’s Harbor.” Journal of Book of Mormon Studies 15/2 (2006): 32–34. Gardner, Brant A. Second Witness: Analytical and Contextual Commentary on the Book of Mormon, 1:286–289. 6 vols. Salt Lake City, Utah: Greg Kofford Books, 2007–2008. Edwards, David A. “Was Lehi Here?” New Era (January 2008): 10–13. Gee, James. “The Nahom Maps,” Journal of the Book of Mormon and Restoration Scripture 17/1–2 (2008): 40–57. Aston, Warren P. “Identifying Our Best Candidate for Nephi’s Bountiful.” Journal of Book of Mormon and Restoration Scripture 17/1–2 (2008): 59, 63 n. 2. Ricks, Stephen D. “Lehi and Local Color.” FARMS Review 21/2 (2009): 174–175. Boylan, Robert. 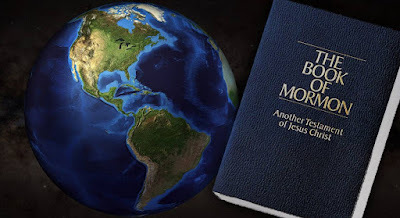 “On Not Understanding the Book of Mormon.” FARMS Review 22/1 (2010): 183–85. Ricks, Stephen D. “On Lehi’s Trail: Nahom, Ishmael’s Burial Place.” Journal of the Book of Mormon and Other Restoration Scripture 20/1 (2011): 66–68. Aston, Warren P. “A History of NaHoM,” BYU Studies Quarterly 51/2 (2012): 79–98. Ricks, Stephen D. “Some Notes on Book of Mormon Names.” Interpreter: A Journal of Mormon Scripture 4 (2013): 157–58. Smith, Robert F. “Nahom.” In The Book of Mormon Onomasticon, edited by Paul Y. Hosskisson. Provo, Utah: The Laura F. Willies Center for Book of Mormon Research, 2013. Online at https://onoma.lib.byu.edu/onoma/index.php/NAHOM (accessed October 19, 2013). Tvedtnes, John A. “Names of People: Book of Mormon.” In Encyclopedia of Hebrew Language and Linguistics, 2:787. 4 vols. Edited by Geoffrey Khan. Leiden/Boston: E.J. Brill, 2013. Rappleye, Neal and Stephen O. Smoot. “Book of Mormon Minimalists and the NHM Inscriptions: A Response to Dan Vogel.” Interpreter: A Journal of Mormon Scripture 8 (2014): 157–185.